Given that Amazon now makes AmazonBasics-branded products for all sorts of things, including motor oil and dog beds, I guess we shouldn't be too surprised that there's an AmazonBasics microwave with Alexa built in. 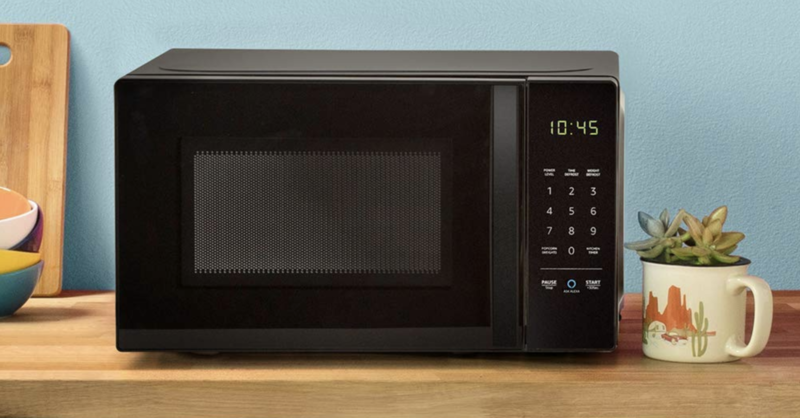 This microwave, regularly priced at $59.99, has dropped to $41.99. 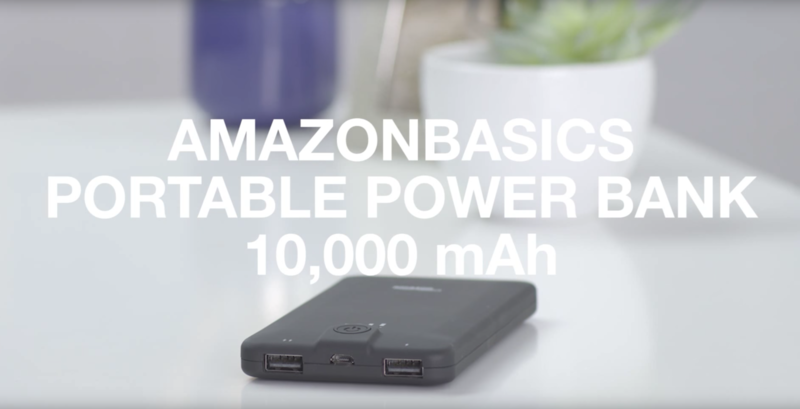 Amazon is recalling six models of power banks in its AmazonBasics line, totaling about 260,000 units, due to 53 reports of overheating in the US. One of these reports caused chemical burns, and four caused property damage. USB Type-C cables can get pretty expensive, but if you don't need the fast transfer speeds of USB 3.0/3.1, Amazon's own AmazonBasics cables are a good option. In fact, they're an even better option right now, because they're on sale. Now you can get the 9ft Type C cable for $7.99 (20%) and the 6ft for $6.79 (15% off). 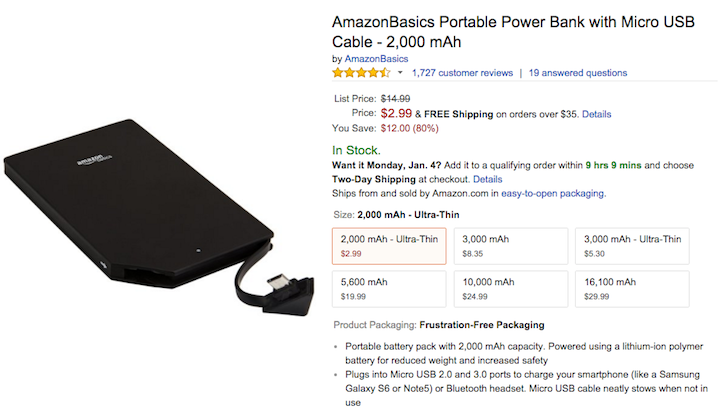 We often write about big battery pack deals here on Android Police: 10K, 15K, 20K, or as much juice as anyone could stick in these portable accessories. This deal is different. It's about a small 2000mAh battery that costs three Washingtons or less than a cup of Starbucks coffee. But what good is 2000mAh really? It isn't enough to fully charge any modern smartphone even once so why bother with it? Well, this one measures 3.8 x 2.4 x 0.25 inches (9.65 x 6 x 0.63 cm) so it's small enough to fit in a pocket or the hidden zipper of a purse, and carry with you everywhere. 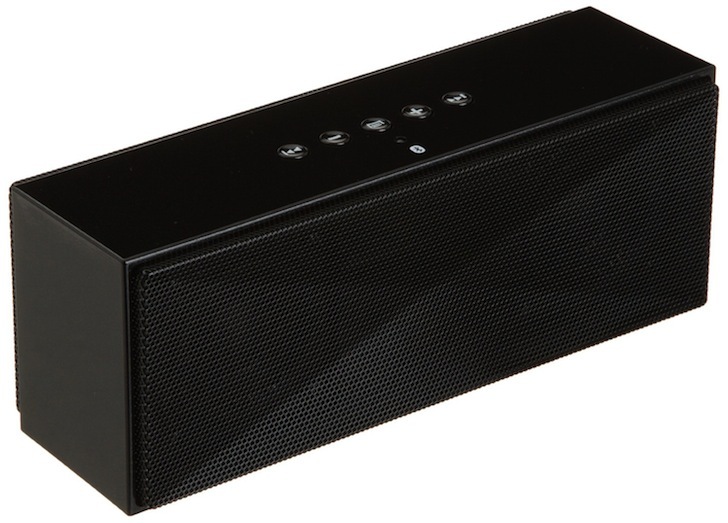 You may think you have enough Bluetooth speakers, but then you find yourself in a room or a location where you don't have one handy and you start wishing you did. Maybe you placed one in the living room and bedroom, but what about the garden, kitchen, shower, or your gadget bag? Well, it's high time you filled up those silent speakerless spaces with music and podcasts and all the noise and sound that your phone can stream. Best of all? It won't cost you a lot. At $39.99, AmazonBasics has a very decent deal on its Bluetooth unit with 2 internal 3W speakers, MicroUSB charging, and 15 hours of battery life on streaming.